Francis Bacon wrote, “Out of monuments, names, words, proverbs, traditions, private records and evidences, fragments of stories, passages of books, and the like, we do save and recover somewhat from the deluge of time.” A free-standing monument is a powerful way to acknowledge the respect you have for the memory of a loved one, and will stand for years to come in their honor. Forest Lawn Cemetery offers monuments from some of the most notable firms in the country. Made from granite, our monuments are of excellent quality and are guaranteed to be free of structural defects. For more information about monument selection, construction, or specifications, call or email us. One of the most important ways that families choose to honor their loved one is with a bronze marker to mark their final resting place. Each marker is custom-designed to perfectly reflect the family's wishes. 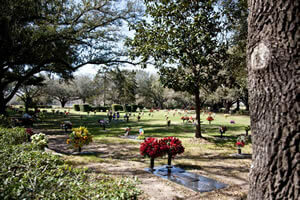 Forest Lawn Cemetery of Houston, Inc. Because price can often be an important factor, Forest Lawn Cemetery not only will work with a family to define the most affordable option but also offers a variety of financing options. For more information on selecting a marker and to preview our many designs, call one of our family counselors at 713-991-2313. For those who desire more enhanced remembrances to honor the memory of their loved ones, we also offer memorial benches. 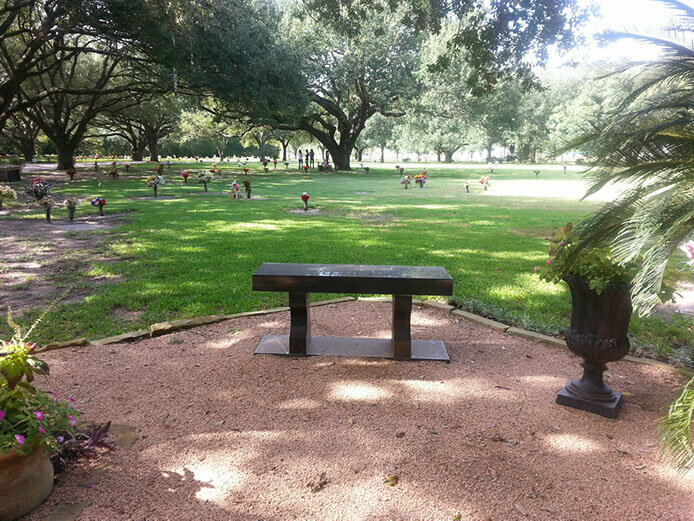 A special type of monument often used to demarcate a family plot, the memorial bench also provides a comfortable place for family members to rest while they honor the memory of those who have passed.